Samsung has launched what we can called the most revolutionary smartphone, the Samsung Galaxy S4, with the features that most of the other devices might have in the pipeline for the coming years. After the great success of the Samsung Galaxy S III and the Galaxy Note II, the company hadn’t stopped making the various Note devices but the prime successor to the S3 is finally launched and it is surely going to be one of the best hits in the market for the year 2013. The company skipped the gadget events like CES 2013 and MWC 2013 as always, and hosted an unpacked event to launch the Galaxy S IV. The Galaxy S4 didn’t show much of the difference from what was being rumored all around, as it has got the 5-inch 1080p display with the screen resolution of 1920 x 1080 pixels and the pixel density of 441 PPI. Although the larger screen, the phone is quite light at just 130gm, and its a bit thinner with the thickness of the phone being 7.9mm. Coming with the two color options, i.e. Black Mist and White Frost, the Galaxy S4 is said to be having a Corning’s new Gorilla® Glass 3 protection and this would be World’s first device with the Full-HD Super AMOLED display. Internally the phone is made totally powerful, with the 1.9 GHz Quad-Core Processor / 1.6 GHz Octa-Core Processor depending on the location, and the Android 4.2.2 operating system having the standard TouchWiz UI which is known to have given the easy-to-use interface in all the Galaxy devices and the multitasking support is given by 2GB of RAM. The device in itself would pack a 2600 mAh battery. 12 shooting modes, including Drama Shot where you can see all the action in one continuous time-lapse. There are loads of new features included in the upgraded interface of the Galaxy S IV, while the connectivity options are no less. The Samsung Galaxy S4 supports 4G LTE LTE Cat 3 100/50Mbps) / 3G (HSPA+ 42 Mbps), Wi-Fi 802.11 a/b/g/n and a/c, Bluetooth v 4.0, MHL 2.0, GPS/GLONASS and NFC as the various connectivity options. Samsung has included a few features that were showcased in the leaks a few days ago, where we had already known about the “Samsung Smart Pause” which would pause the video if you look away from the screen all of a sudden, and starts again when you look back at the screen. The “Air View” feature would allow the user to hover their finger over the content to preview it before opening. The “Air Gesture” would allow you to change the music track, scroll up and down the page or accept a call by waving your hand. A few other features include the S Voice Drive, Samsung Optical Reader, Samsung WatchOn, S Health software and the Samsung Adapt Display. There is no update about the pricing of the device until it would be made available, but the Galaxy S4 will be shipped from April 2013 and this would be a global availability, including the US market through the AT&T, Sprint, T-Mobile, Verizon Wireless, US Cellular and Cricket. 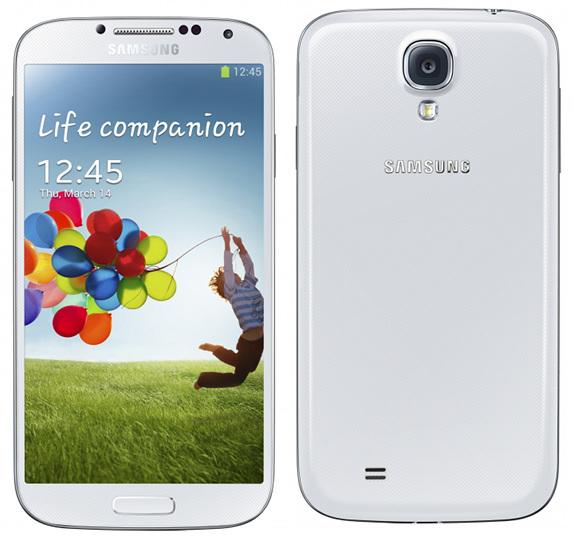 In the UK market, the networks through which the Galaxy S4 would be available – Deutsche Telecom, EE, H3G, Orange, Telenor, Telia Sonera, Telefonica, and Vodafone. 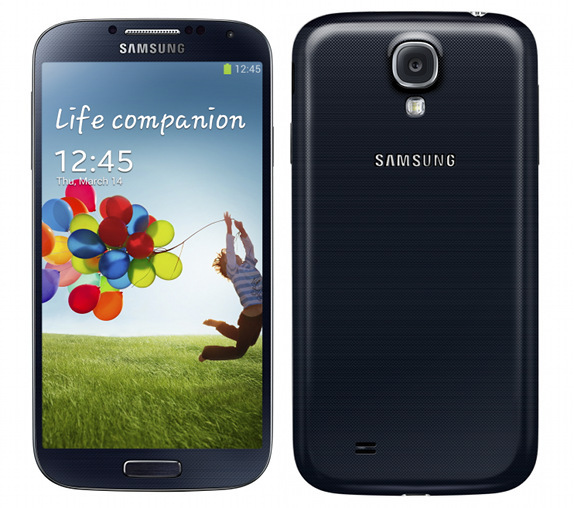 The Samsung Galaxy S4 price in India is going to be around Rs. 44,999 and it is going to be available in the month of May 2013. Check out a few Samsung Galaxy S4 accessories that are beneficial for the health care of an individual.